Rancho Santa Fe Foundation is excited to welcome Bill Davidson as the new Chairman of the Board. Bill joined the Board in 2013 and has since served on the Marketing, Strategic Planning and Audit Committees. He was appointed Chairman – Elect in 2017 and assumed the Chair at the beginning of 2018 and will serve a two-year term. 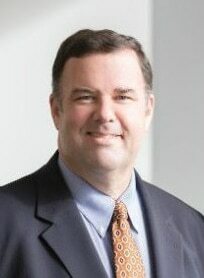 He spent many years as Senior Vice-President of Strategy and Operations and Investor Relations at Qualcomm and is currently the Chief Operating Officer of Amionx. He brings to the board expertise in strategy, operations, marketing, and investor relations. Bill is an ardent fan of the New York Yankees and his home state of New Jersey. He now lives in Rancho Santa Fe with his wife and two children. In addition to his duties with RSF Foundation, he also serves on the boards of Make-A-Wish San Diego and the San Diego Police Foundation and is a Director of the San Diego Regional Chamber of Commerce. The Rancho Santa Fe Foundation is a community foundation that provides charitable funds and expertise to strengthen philanthropy throughout San Diego County and beyond. With growth to more than $120 million in assets and $70+ million in grants since 1981, the RSF Foundation continues to expand its community impact. Through donor-advised funds, endowment funds and planned legacy gifts, many philanthropists and nonprofits partner with the RSF Foundation to make an impact with their charitable funds.